At Golder, we thrive on challenges. Working to solve some of the world's biggest challenges is a goal that ignites us. It inspires our thinking and drives our actions. We provide independent consulting, design and construction services in our specialist areas of earth, environment and energy. Work with us. We deliver. Solving our clients’ most complex engineering and scientific challenges with skill, innovation and dedication. Get thought-provoking, fresh perspectives based on practical experience and high-caliber technical expertise. Are Environmental Assessment Process Improvements Ahead with Canada’s Bill C-69? We are pleased to announce Daniel King & Joel Gniel as Golder’s 2018 Victor Milligan Award Winners for the best technical paper in the area ​of Ground Engineering published in 2017. Daniel, Senior Geotechnical Engineer, and Joel, Geotechnical Engineer, both work out of Golder’s Melbourne, Australia office. They co-authored their paper “Load-transfer platform behaviour in embankments supported on semi-rigid columns: implications of the ground reaction curve” with Abdelmalek Bouazza and Ha H. Bui at Monash University (Melbourne) and R. Kerry Rowe at Queen’s University (Ontario, Canada). This award is a great acknowledgment of hard work, particularly for Daniel who spent over three years researching the topic as part of his PhD. The paper describes the basis for a change in the way most engineers approach the design of column-supported embankments. The ultimate aim is to provide industry with a much more robust design method. Such a method will improve understanding, reduce design risk, differentiate us from other designers and ultimately benefit us and our clients. Golder’s commitment to technical excellence and advancing the industry is evident in the many technical papers submitted for recognition. In 2018, we received over 23 submissions for recognition. As always, each and every entry impressed the award committee and spurred new ideas. We want to thank all of our professionals for their dedication and ongoing efforts to drive innovation in the field of ground engineering. 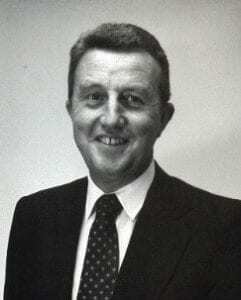 Named after Victor Milligan (1929 – 2009), one of Golder’s founders, the Victor Milligan Award is an annual recognition of the best ground engineering technical paper published by a Golder employee. Victor was recognized worldwide for his expertise in geotechnical engineering and served as president of Golder from the early 1960s until the early 1980s, after which he continued as Chairman of the Board. Read more about Victor’s legacy. Get the latest news and expert perspectives from Golder, direct to your inbox. Stay up to date on the latest events, news, and exciting announcements via our social media channels. Copyright © 2019 Golder Associates. All rights reserved. Please do not submit resumes here. Go to our Careers page to get started. I consent to my submitted data being collected and stored by Mailchimp / Golder. No expert found matching this criteria.